She is known to her online following as “Her Royal Thighness” a fitness influencer who has worked with Arsenal football team, Crystal Palace Ladies Football Club and Adidas. If that wasn’t enough she is also a Running Back for Great Britain in women’s American Football and represented her team in the Women’s World Championships in Canda where they placed 4th in the world, she has also led her domestic squad in the UK to multiple titles. 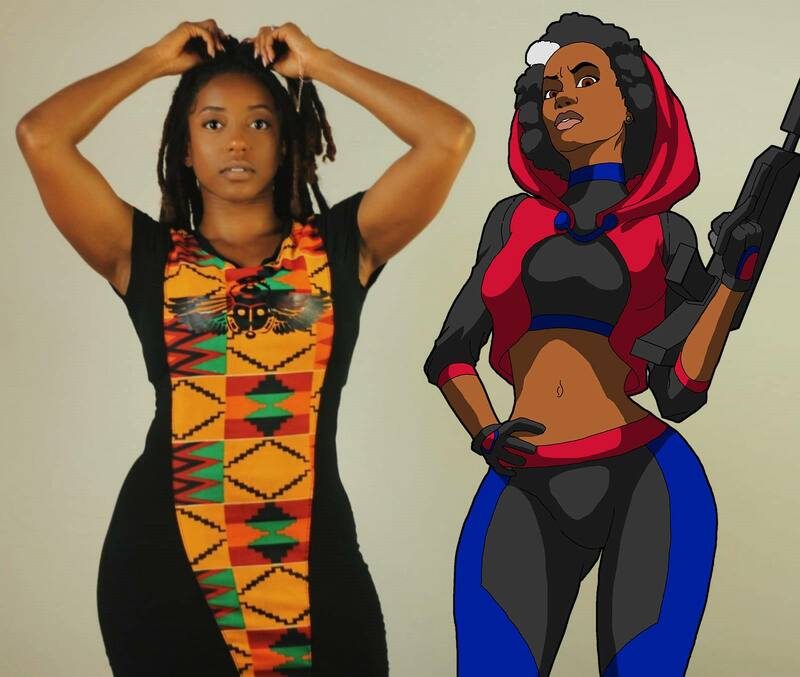 Melissa L-A is of Caribbean descent and proud of her culture including her Haitian roots which is celebrated in Commander H’s outfit in Celflux. Passionate to represent black women in spaces they’re less visible, Melissa was keen to become the voice of Commander H in Celflux, much like Commander H, Melissa is a passionate, natural leader with a strong community mindset. She’s very excited to be apart of the team and part of what will be an exciting journey.